The Cambodian tourism sector is set for more spectacular growth in the next few years, thanks to industry promotion and networking through the Cambodia Tourism Federation (CTF) and support from the Ministry of Tourism. The CTF president and co-chair of the Government Private Sector Working Group-B on Tourism, Luu Meng, said this at a CTF networking event in Phnom Penh on Tuesday with the theme, Stronger Together in Tourism. “Our country is known as the ‘Kingdom of Wonder’ because of its historical and natural richness. Our ultimate goal is marketing and bringing more people to experience our wonderful country. “But to do so, we need to develop our tourism products and have policies and infrastructure that support such development. This way, it will be much stronger,” he told the 200 guests at the event which included industry leaders. Meng said the last four years have been exciting for the sector, thanks to incredible work by the Ministry of Tourism and private companies to develop mechanisms for better discussion and communication. The only way for Cambodian tourism to grow, he said, is for all parties to work together. “There is no single part of the equation that can stand alone. We are all working towards the same goal of making the Kingdom ‘the destination of choice’ for tourists,” Meng said. He said the CTF started as four associations, but has since expanded to nine, plus two private companies. And it continues to expand with the goal to engage all aspects of the private sector and provide a platform to build the tourism industry. Meng said: “Though having the right tourism policies are important, ultimately it is a coordinated marketing strategy that will draw more international tourists. This includes promoting our existing tourism products and developing new ones. He said within the mechanism are nine working groups, including Overseas Marketing and Promotion, Tourism Industry which addresses policies, Training, and others. The working groups, he said, were critical to ensure all aspects of the tourism experience in Cambodia are addressed with none left out. “It’s not just about selling our hotel rooms, restaurants, travel agents, transport providers or tour guides. It’s about everyone in the tourism sector working together to develop and strengthen the authentic tourism experience,” Meng said. 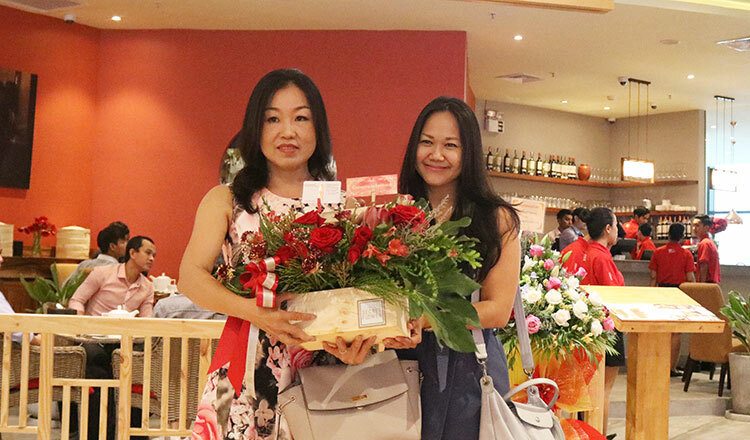 The event was graced by the presence of Tith Chantha, secretary of state and high representative to the Minister of Tourism Dr Thong Khon, and Chhuon Dara, the secretary of state at the Ministry of Commerce. Also present was Post Media CEO Ly Tayseng, whose company owns The Phnom Penh Post. During the networking session, he told those present that The Post is keen to promote and support local and foreign businesses operating in Cambodia. “Ultimately, we wish to support tourism players to succeed in the industry so that the Kingdom can benefit more through higher employment opportunities, increased tourist arrivals and economic development,” he said. Thanks for the well-written post and I will follow your updates regularly. This is really helpful and keep posting more like this.